Added to our program to bring in some outcross genetics. 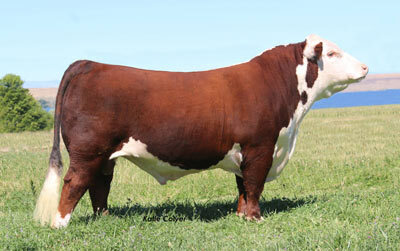 We are excited about 5280 and what he has brought to our herd. 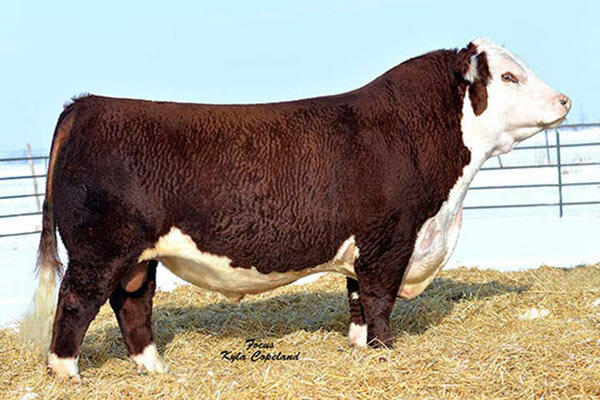 His first calf crop grossed over $900,000 with twenty five bulls averaging nearly $25,000. 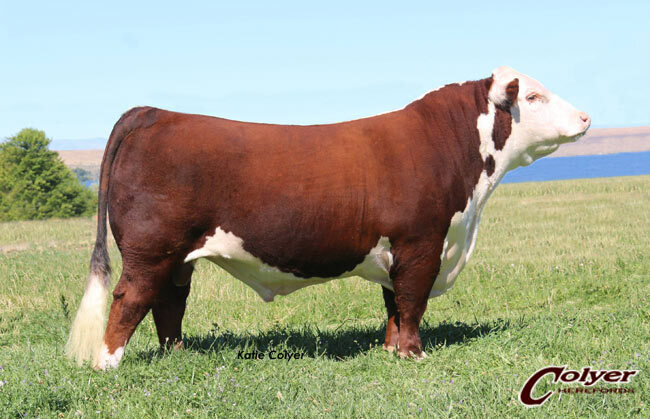 With fourteen females averaged over $21,000 his first progeny reached historic marks. He is the sire of "Double Your Miles" who was the 2017 Denver Champion Polled Bull. 5280 was our selection from the bulls in Denver in 2015. He was lead bull in the Grand Champion pen of 3 for Coyote Ridge Ranch, LaSalle, CO. Reserve Grand Champion Bull in Fort Worth in 2015. Owned with Bill King, Hirschfeld Group, and Coyote Ridge. He stems from CRR's most prolific and unique cow family - consistently producing power and performance with elite maternal and structural integrity.